Lee Jong-hyun debuted with CNBlue as a guitarist in 2010. In the same year, he also made his acting debut in a movie called Acoustic. Jong-hyun often helps write the lyrics for CNBlue’s songs. His lyrics are very beautiful and touching, and that makes people wonder whether or not they’re based on his real life. Some people assume that members of a band must be playboys who often change their lovers. How about CNBlue’s Jonghyun? Let’s check this article out. He also revealed that he likes someone who has a casual manner and is the easygoing type, who doesn’t nag too much. He also wants that person to accept him the way he is. He added he wants a simple girl that can understand him, and someone who is mature enough. He also said he wants to be able to write and perform songs for his future girl. Are you Jonghyun’s ideal type? P.S. don’t forget to wear jeans and white t-shirts when you want to meet him. Idols usually keep their relationships a secret. They even often avoid some questions that relate to their relationships. Some say ‘no comment’, or deny the rumor as soon as it breaks to the public. Also, many don’t talk much about their past relationships before their debuts. Idols have always been secretive about their private lives. 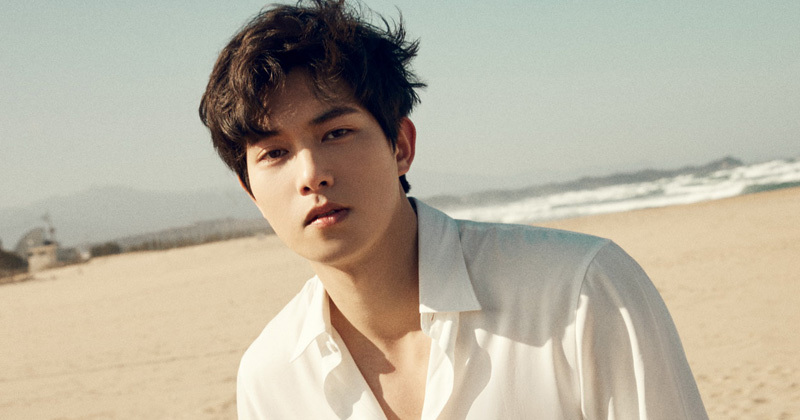 CNBlue’s Jonghyun is one of the rare idols. Considering that he is a guitarist in a band, it doesn’t seem to be a big issue for him to talk about his ex-girlfriends. He’s done it on a couple of variety shows, and now we’ve compiled some of that information. Here is it. On We Got Married, when he went to his parent’s house in Busan with his virtual wife, Gong Seung-yeon, Jonghyun’s ex-girlfriend was revealed. While the family was eating, Gong Seung-yeon asked about his ex-girlfriends, and Jonghyun’s mom told her he had a girlfriend when he was in middle school. His father said that Jonghyun’s ex-girlfriend was pretty, and that Jonghyun brought her over once. He also added that Jonghyun introduced her to them, which made his virtual wife, Gong Seung-yeon, a bit jealous. She asked, “It was Suzy, right?” (Before they arrived at Jonghyun’s house, they found graffiti with ‘Jonghyunie ♥ Suzy’). Jonghyun grabbed his virtual wife’s head and brought her in for a hug. This ex-girlfriend might be his first kiss, because he’s said that he had a first kiss with his ex who looks like Son Ye-jin, who is really pretty. In 2010, after CNBlue debuted, they all were asked when their last date was. Lee Jonghyun revealed that he had a relationship before, and he had to break it off a year ago. They broke up because Jonghyun and CNBlue were debuting in in Japan before they debuted in Korea. Let’s Look at Lee Dong-wook’s Best ‘Running Man’ Appearances!